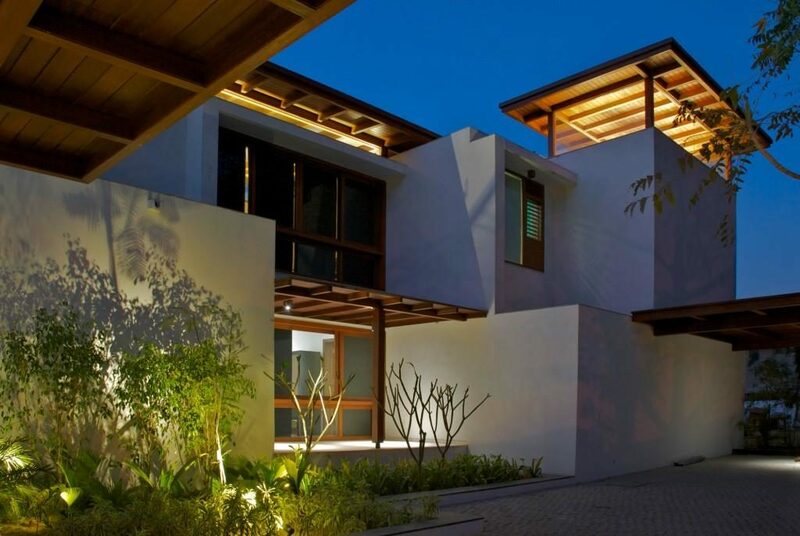 Modern courtyard house designs: Every one have a desire to built a contemporary house with all modern amenity. And built a modern house with courtyard have their own history. 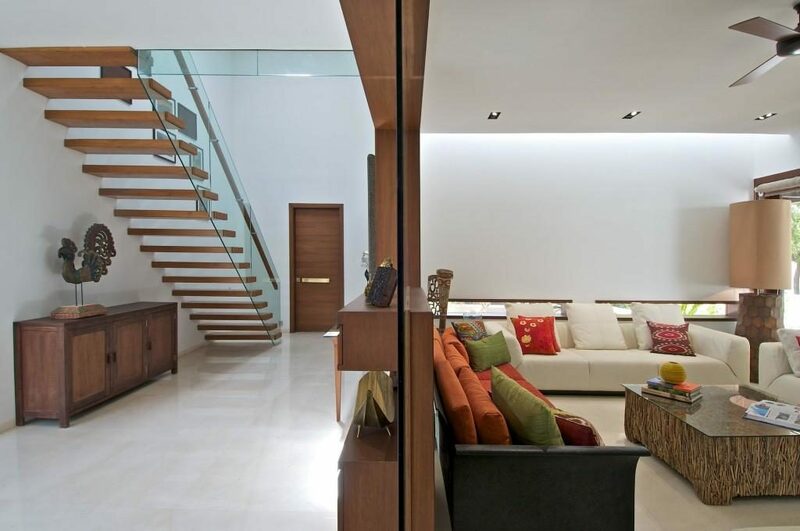 Interior Courtyard in House is a space for breathing and living your daily life is a part of Indian culture. 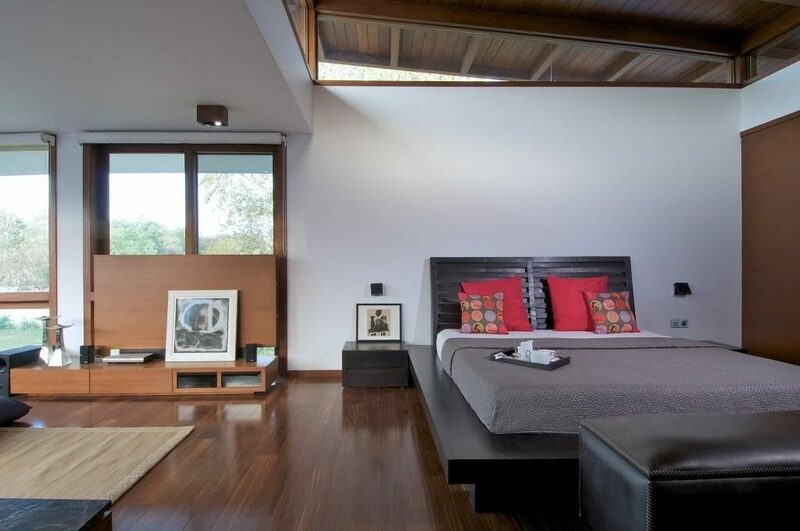 So, here we see a beautiful architecture of modern courtyard house by Hiren Patel Architects. 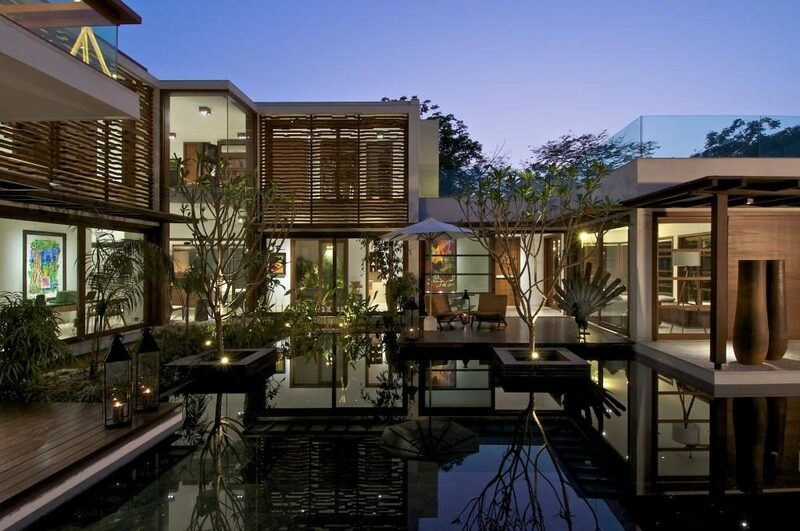 Modern Courtyard House Designs in India. 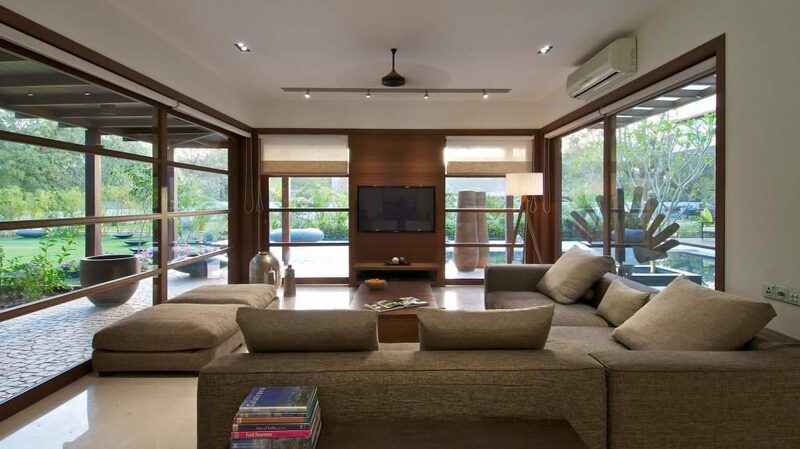 There are lot’s of different design aspect in any house design. 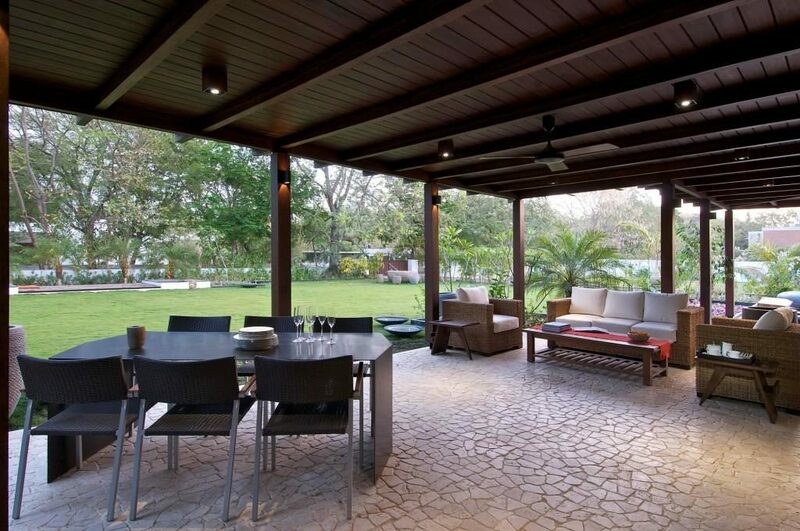 But we are see basic and fundamental design methodology behind this modern Indian courtyard house. The courtyard house is designed with a grid of 7’x7’. 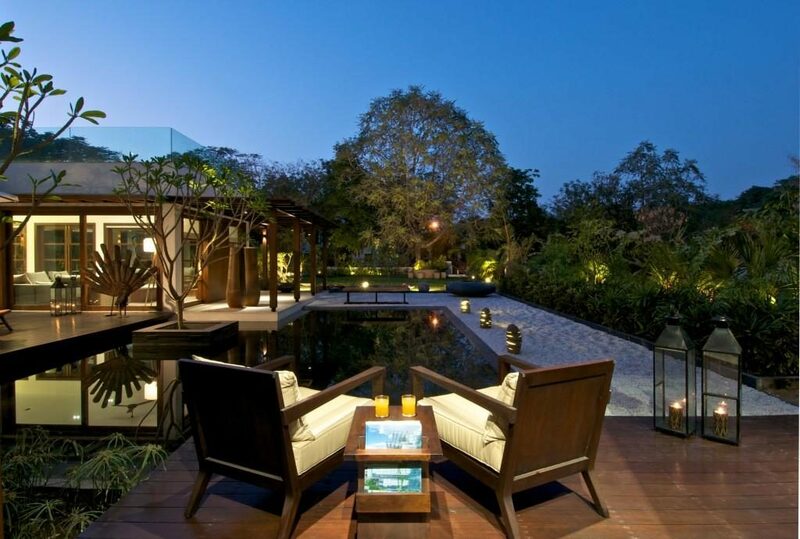 The house has been designed in such a way hat all the living spaces and passage face open space and garden. 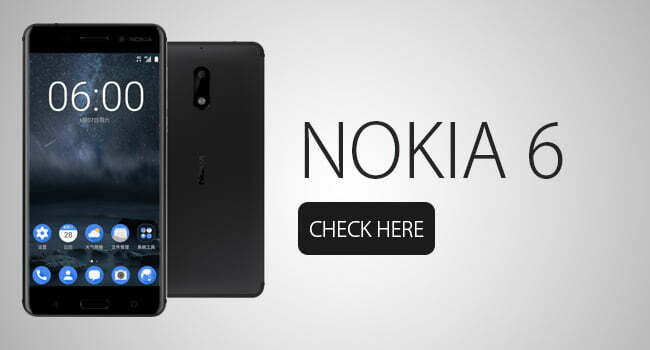 Which was also the main design concept since its inception. 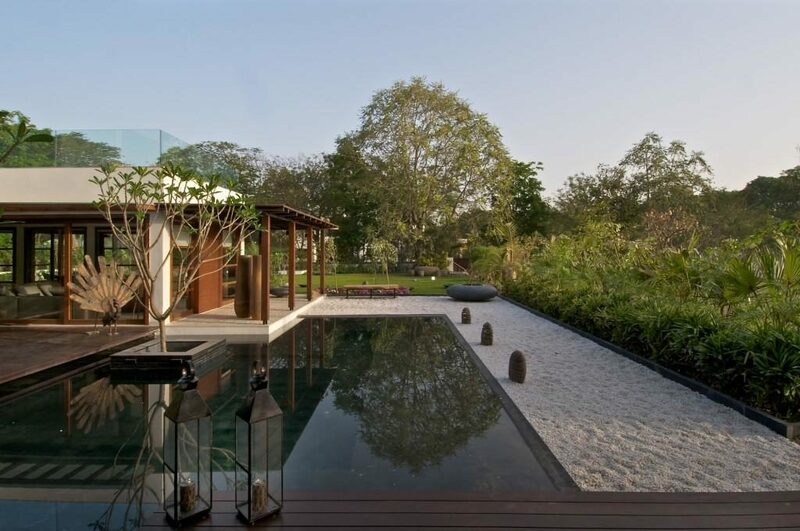 Thus creating a central courtyard, Which holds the reflection pool making it a major design element. This also makes the design an introvert one, leaving garden at backside. But still visible and accessible from all the rooms of house. Small modern courtyard house plans. 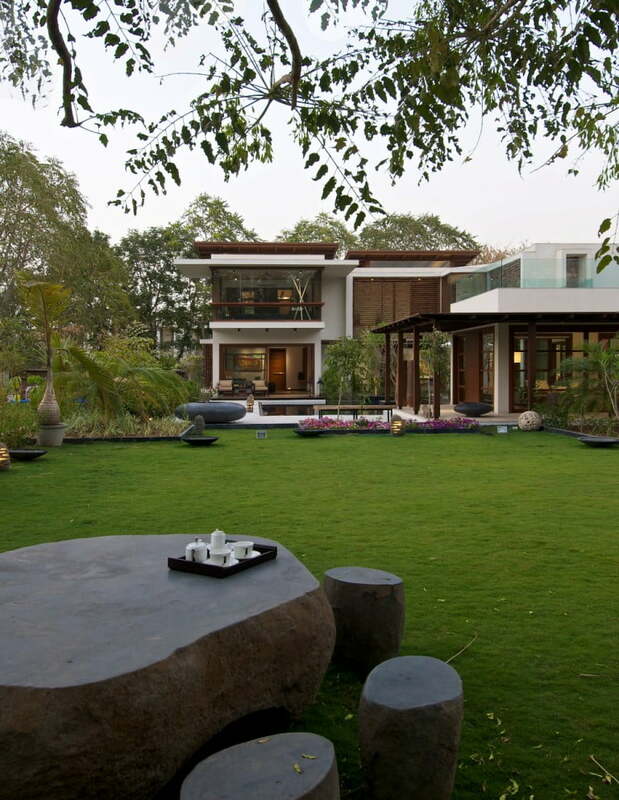 Modern Indian courtyard house plans. The modern courtyard house a history. Mid century modern house courtyard. 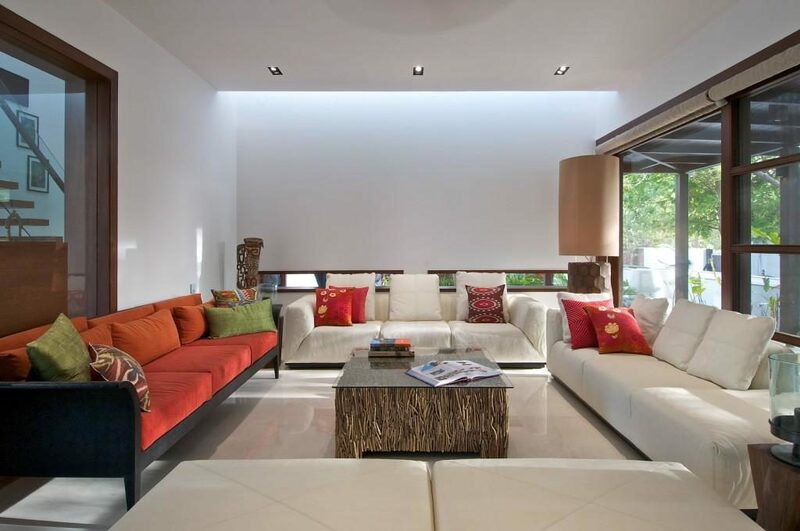 Interior courtyard house plans India. 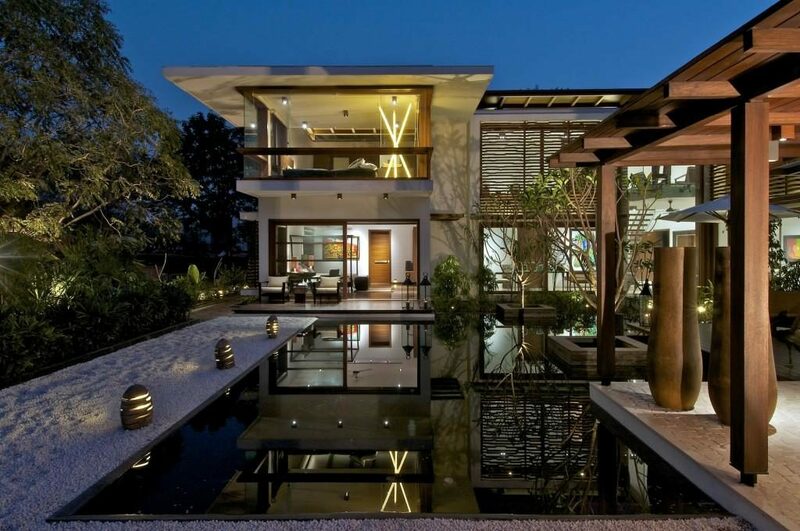 Modern house with inner courtyard. 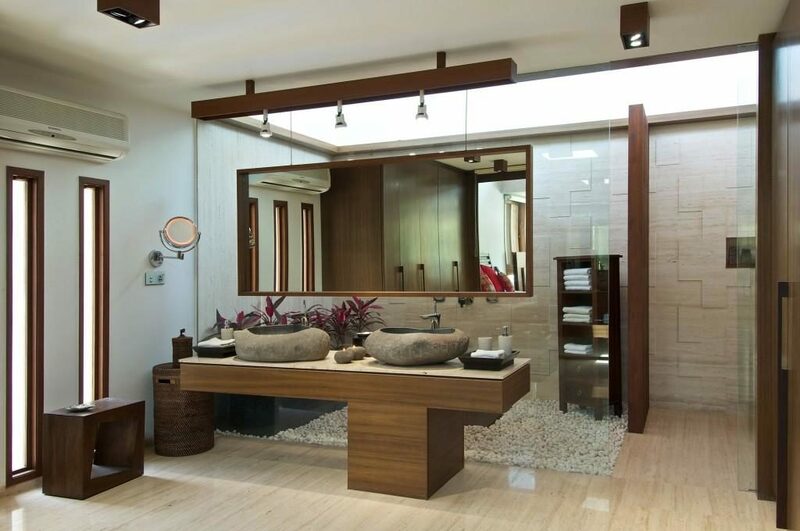 Indian interior courtyard house plans. 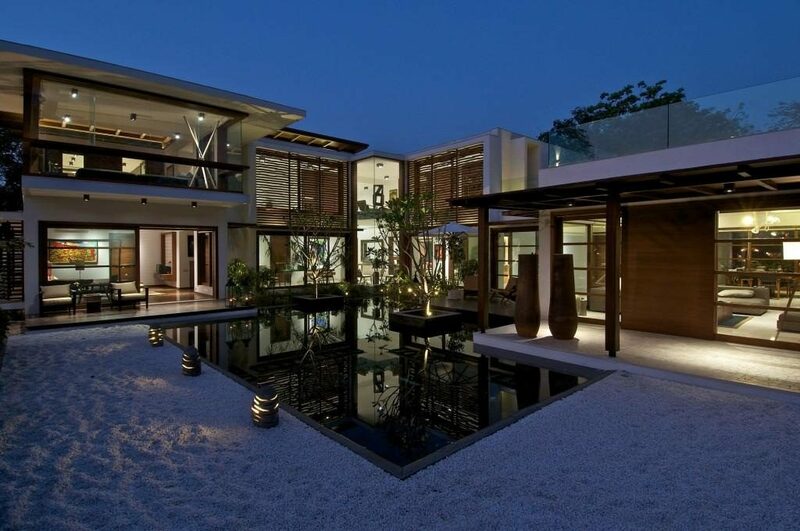 Modern Bungalow Architecture with Internal Courtyard Pool in Singapore. 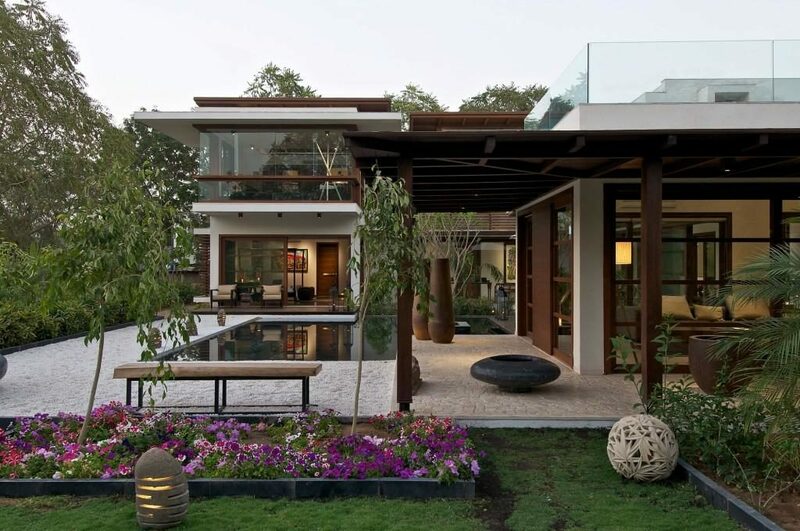 Private Outdoor Courtyard in Modern Indian House Architecture. 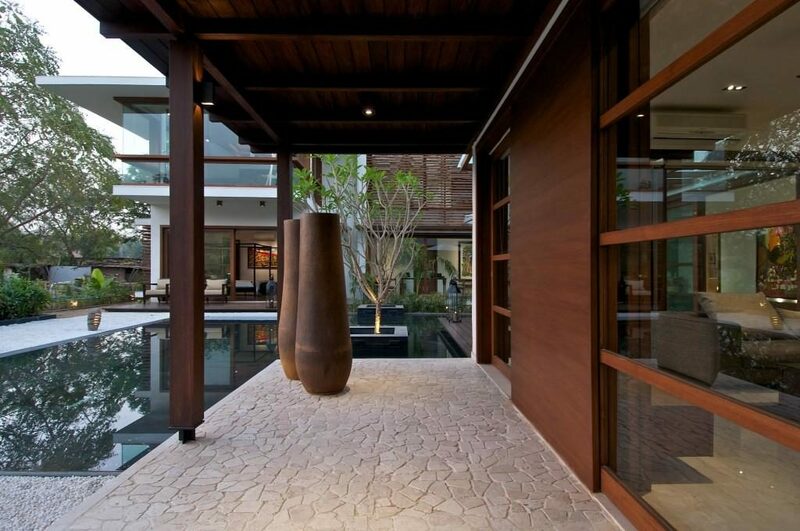 Traditional Design Element Courtyard in Modern House of Thailand. Black Stucco House Get Private Courtyard Garden Landscape. So, Friends, this is all about latest design composition of Modern courtyard house. There is a space for living your daily life with nature. Have a thoughts on it, share with us via comment bellow. 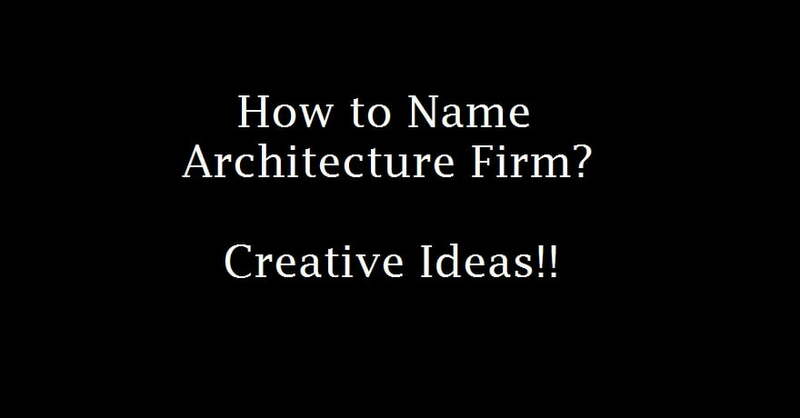 How to Name Architecture Firm or Office with Creative Ideas? An architect and founder member of Kadva Corporation. For giving your thought a wing, join with me. Be a mind of man&woman. Copyright © 2019. Created by KADVA. Powered by KadvaCorp.